The Scarborough Sunset Markets are back! Great news! The Scarborough Sunset Markets are back for 2018/19 every Thursday evening from 5pm in the Scarborough Amphitheatre and surrounding foreshore area. The markets offer more than 70 food, drink, fashion, art and craft stalls plus a licensed bar, live music, a beach chill zone and more. 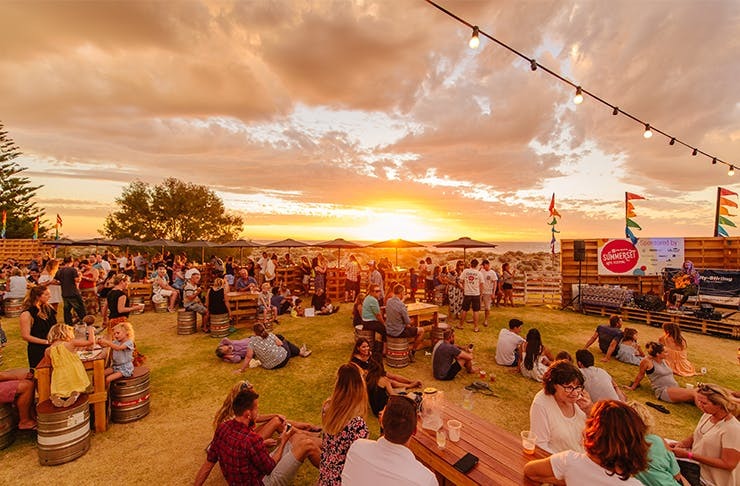 The markets are the perfect place for the whole family and you can laze in the amphitheatre, play in the sand, stroll around, enjoy a delicious dinner and celebrate an amazing Western Australian sunset! The Scarborough Sunset Markets capture the true essence of the Scarborough community so be sure to add this event to your weekly calendar.